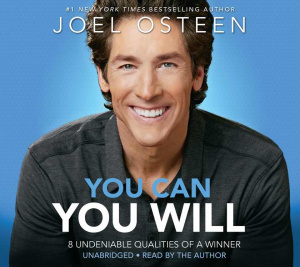 You Can, You Will: 8 Undeniable Qualities of a Winner by Joel Osteen was published by Faithwords in September 2014. The ISBN for You Can, You Will: 8 Undeniable Qualities of a Winner is 9781478982678. Be the first to review You Can, You Will: 8 Undeniable Qualities of a Winner! Got a question? No problem! Just click here to ask us about You Can, You Will: 8 Undeniable Qualities of a Winner.